HC Supplies really do have it all covered when it comes to the perfect worktop cutter. Make sure you get the kitchen and bathroom worktops you want by purchasing all materials from a respected retailer. We only stock worktops and worktop cutter collections from the most prestigious manufacturers, which reassures customers that their new worktops will be precision cut with an exceptional tool. Why pay more for a top of the range worktop cutter, when you can grab fantastic reductions on all high end worktop cuttertools, right here at HC Supplies? When installing worktop surfaces yourself you will want to get it right first time, and by using the best tools for the job, you can ensure that everything goes to plan. Our worktop cutter range includes all the accessories you will need to cut curves, and slice precise edges into your chosen material. As stockists of a variety of work surface materials we know what worktop cutter will get the job done, which is why we provide exactly what you need at a price you can afford. To find out more, browse our worktop cutter pages. Are you thinking about updating your kitchen? Is your bathroom decor no longer up to scratch? Get your hands on beautiful work surfaces at discounted prices at HC Supplies. We stock over 600 different styles and types of material, in addition to the worktop cutter you need cut and fit the worktops yourself. Choose from worktops created by high end manufacturers including Axiom, Encore, M-Stone, and Trade-Top, which is now avaiable with free delivery. Once you have chosen the ideal work surfaces for your kitchen or bathroom, purchase a precision worktop cutter from our worktop cutter range. 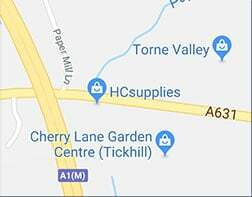 HC Supplies guarantee safe and speedy UK delivery of all their items which means you can expect to receive your worktops and worktop cutter between 2 to 7 working days after purchase. Discover more about our products by browsing our user-friendly website, or get in touch with one of advisers via 'phone, or the online contact form. You can also pop into to our Doncaster showroom for a closer look at our worktops and design ideas.